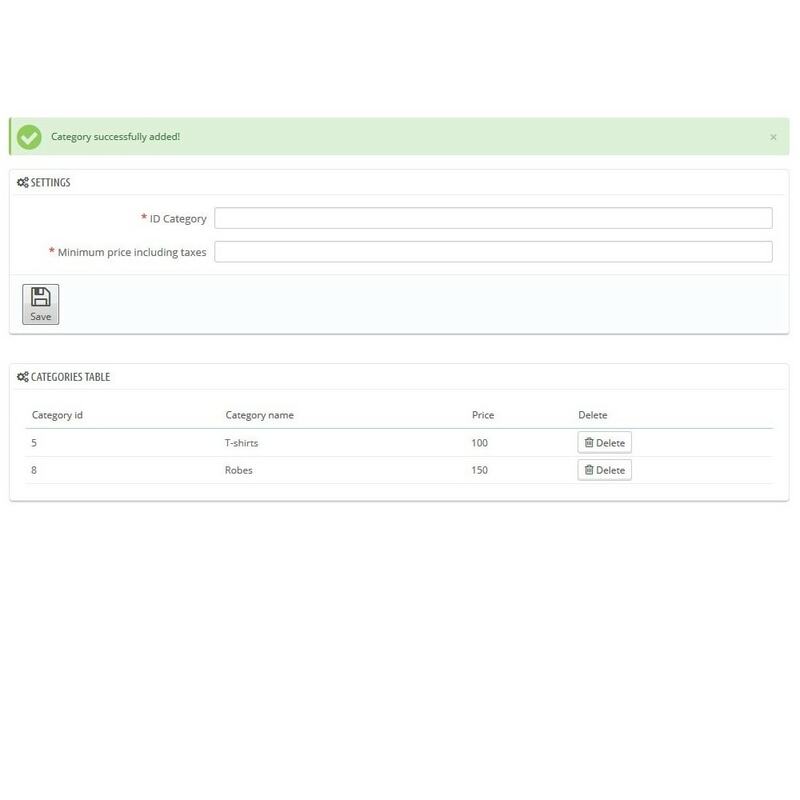 This module will allow you to manage a minimum order amount for products belonging to a category, for as many categories as you want. So your customers can not complete their order, if they do not have reached this minimum you've have set. This module will allow you to choose a minimum order amount for all products in a given category, for as many categories as you want. So you can force your customers to fill their basket more to finalize their order. Ex: You are selling vegetables and bottles of wine. If a customer only takes a carrot and a bottle that will not be profitable for you to take his order. So you set a minimum order amount for vegetables and wine so that the command is profitable. Obviously other products of others categories are nothing to change the behavior. 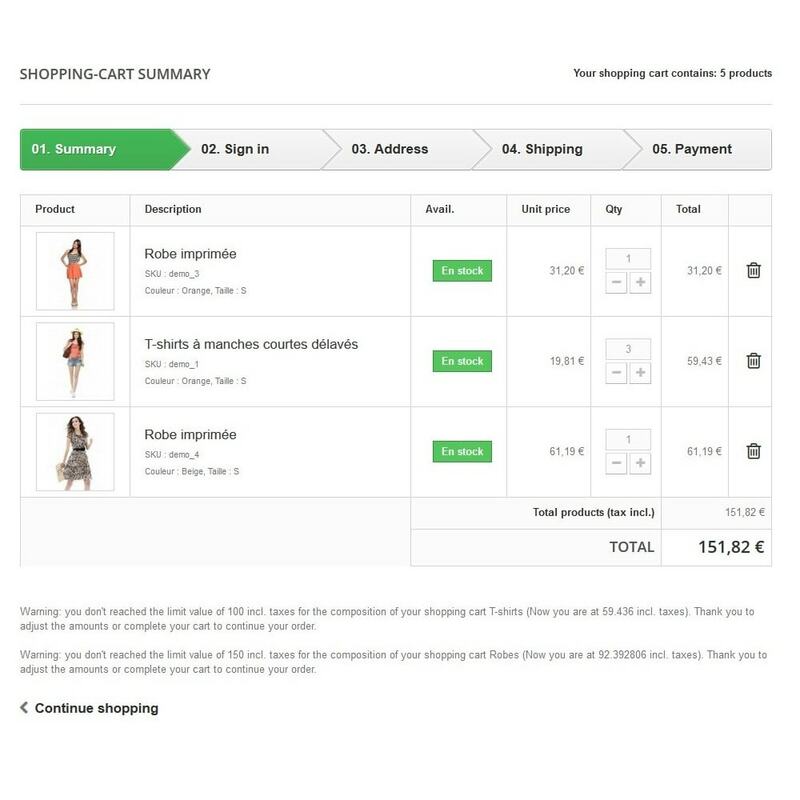 You fix for order, you must reach a minimum of X Euros per chosen category. As the minimum amount is not reached, a message informs the customer that he has yet to order X Euros to finalize the order. 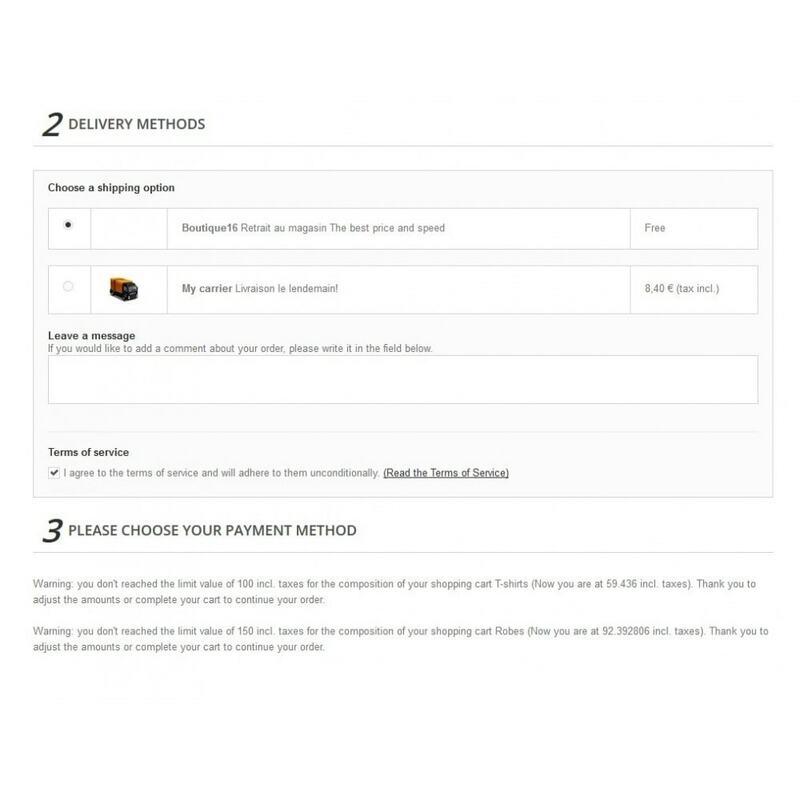 Meanwhile the button to continue this order disappears into the control mode in five steps or opportunities payment disappears into the control mode in one step. Another extended version of the module is also avaialble! - Set a minimum amount of different command for all categories.